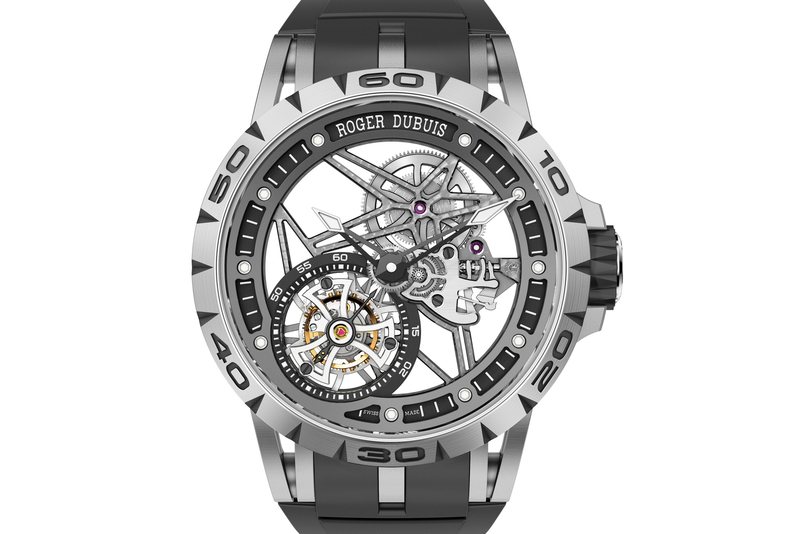 In addition to the Excalibur Automatic Skeleton that we showed you last week, Roger Dubuis will also be debuting the Excalibur Spider Flying Tourbillon at the Salon International de la Haute Horlogerie next month. The new timepiece is presented in an ultra-light titanium case, with a black aluminum caseband (it measures 45 mm by 13.75 mm). 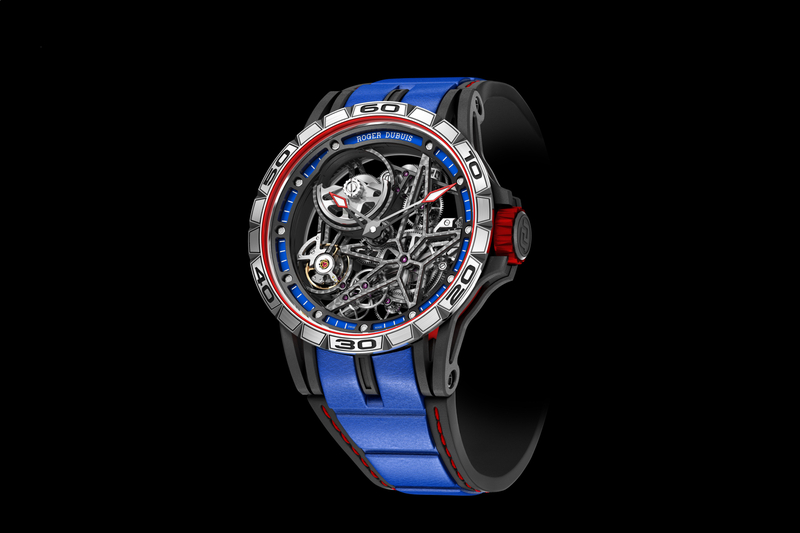 Fittingly, the lugs have been skeletonized, enhancing the sporty nature of the watch, as well as further reducing the total weight. The dial is fully skeletonized with a black chapter ring, a white minute track and titanium screws that mark the hours. The hour and minute hands are in a black DLC treated gold and have been skeletonized. A one-minute flying tourbillon, adorned with a tourbillon carriage in the shape of a Celtic cross, is located at 7 o’clock. The movement, caliber RD505SQ, is hand-wound and consists of 165 parts and 19 jewels. It runs at a rate of 3Hz and has a 60-hour power reserve. Decorations include rhodium-plating, circular-grained main plate, chamfered edges and Côtes de Genève decoration. A “Poinçon de Genève” seal is emblazoned at 3 o’clock. 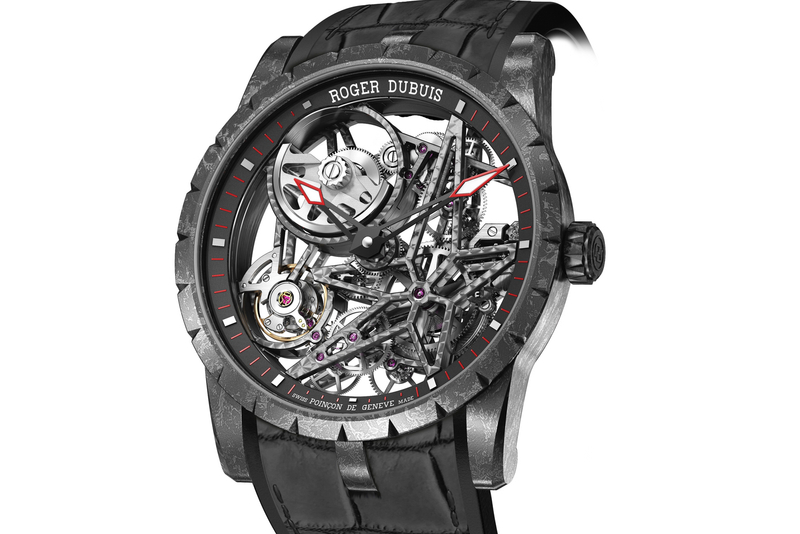 The Roger Dubuis Excalibur Spider Skeleton Flying Tourbillon is paired with a black rubber strap and adjustable titanium folding clasp. 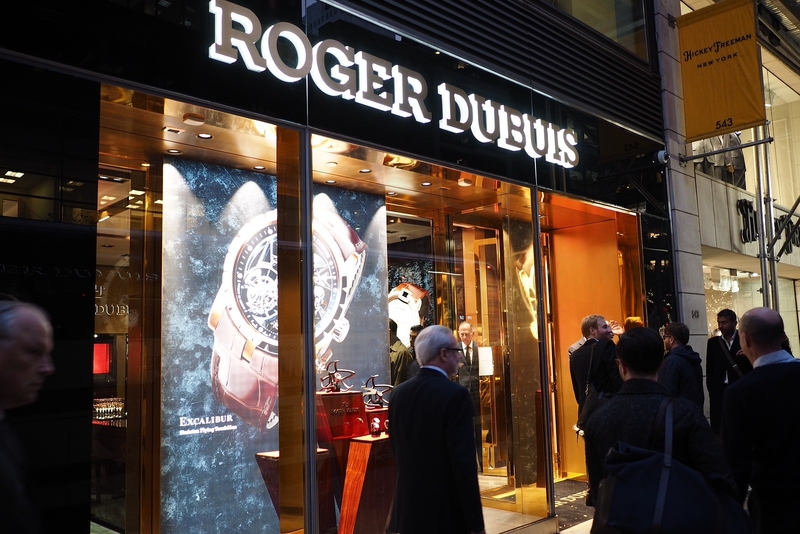 For more, visit Roger Dubuis.